HomeHow can family firms motivate their employees to be innovative? How can family firms motivate their employees to be innovative? Employees are a key success factor for innovation – but how to motivate them? Family firm owner-managers need to be aware that motivation consists of both, motives of employees as well as incentives. As a consequence, firms need to a) make sure to hire employees with “right” motives at first place and b) develop and install very thoughtful incentive structures. It is important to note that those incentive structures can be composed of monetary as well as non-monetary elements (see details below). 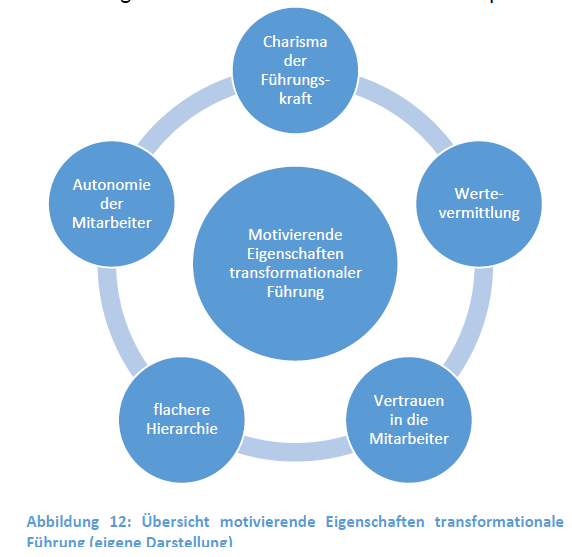 Employees can either lack motivation, be driven by extrinsic motivation (which again, consists of different elements, see figure below), or be driven by intrinsic motivation. Whether extrinsic or intrinsic motivation is more powerful depends on the tasks to be fulfilled: For simple, ‘un-interesting’ tasks extrinsic motivation is more powerful, whereas for more complicated tasks (such as innovation!) intrinsic motivation is superior, since it fosters flexibility, spontaneity, risk taking, willingness to learn and share knowledge, and thus creativity. When setting incentives, family firm owners can choose between intrinsic incentives (e.g., creating a work atmosphere that allows employees to identify with their work and making their jobs more exciting), extrinsic incentives (e.g., bonus) and – often overlooked – interactional incentives. Interactional incentives include, for instance, involvement of the employee when defining goals or providing him or her decision making power within the process. When thinking about how to motivate employees, extant research teaches us to consider the following aspects: a) Is the promised incentive in line what the employee really wants? and b) In the eyes of the employee, how realistic is it that he or she will achieve the set goals (with the planned effort)? Only if the employee perceives the goal as desirable as well as realistic for him- or herself(!! ), motivation will arise. Family firms are often challenged by the following disadvantages: Monetary incentives for innovation are likely most effective when they come in the form of higher fix salary (because this increases the feeling of job security and employee satisfaction and increases tolerance for change) as compared to variable boni (which are known as purely extrinsic incentive, that might drastically decrease intrinsic motivation). However, because of their parsimony, family firm owners often shed away from granting higher base salaries. Family firms are long-term oriented. Long-term orientation can provide a sense of job security and identification, which, in turn, will motivate employees to be more creative and more risk-taking. Hence, family firms should emphasize their long-term vision to motivate employees. Moroever, family firms might particularly benefit from charismatic leadership applying transformational leadership styles. This is an active leadership approach that is emotionally driven and targeted at changing values and goals of employees (rather then simply telling them what to do). Given the family’s strong involvement in the company, such leadership might be particularly effective in their firms. Communicate a clear long-term vision that the management welcomes and fosters innovation. Make sure that this vision does not overly constrain the ideas of your employees and that it allows for new processes. Create a culture that allows for failures: This motivates employees to also reveal “crazy ideas” and enables that information about less successful projects is openly shared without much delay. Make sure that the family has a positive influence on the firm culture. This advice is not restricted to family managers but also refers to family owners that are not active in the firm: Also those family members can regularly visit the firm, talk to employees of all levels, show their appreciation, and be open to suggestions. During the hiring process, make sure to hire creative individuals. Offer “creative problem solving trainings” for your employees. Apply transformational leadership styles to foster innovation among employees. Make sure that the employees have enough autonomy. This might be perceived as particularly “difficult” or “undesired” by patriarchic entrepreneurs favoring to centralize decision-making power at the top. Yet the positive effect of autonomy on innovation by employees is undoubted. Trust in employees is the most important requirement to create such autonomous climate and make innovation happen. Make sure that the employees feel attached to their work, understand their own contribution, and feel that their job is exciting. “Job rotation” (i.e. employees taking different tasks for several weeks) or “Job enlargement” (i.e. less specialization, broader tasks) might be helpful in this regard. Re-evaluate the firm’s communication pattern: Is it open? Do employees feel well informed? Which role does feedback play in the organization? Is there feedback that is de-tached from promotion or bonus decisions and thus exclusively targeted at improving (instead of “grading”) the employee’s performance? Make sure that employees, at least occasionally, work togehter (e.g., project-based) with employees with different backgrounds working in different divisions of the firm. Don’t overlook emotions when setting up teams. Make sure that team members personally get along well with each other. J. Netzhammer. 2015. 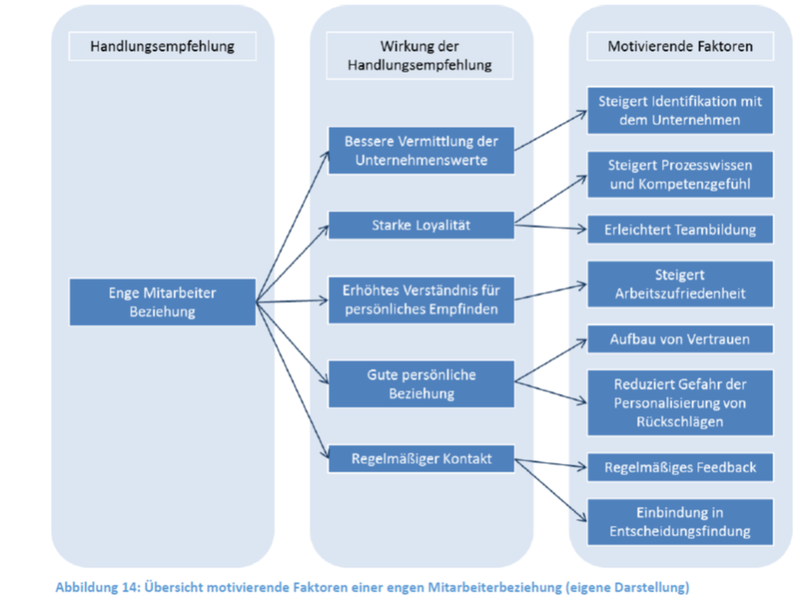 Mitarbeitermotivation zu Innovationen in Familienunternehmen. Bachelor thesis under the supervision of N. Kammerlander. University of St. Gallen, Switzerland.